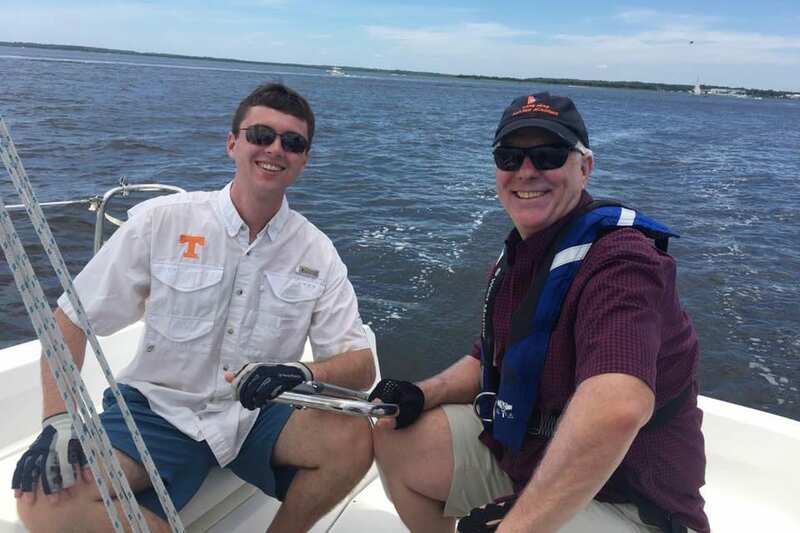 A typical trip includes the Intracoastal Waterway, the Cape Fear River, and a turn on the Atlantic. From Southport Marina in downtown Southport, our journey to the Atlantic Ocean takes us past the Oak Island Lighthouse and historic Southport to the juncture of the Cape Fear River. Battery Island and Fort Caswell salute us as we venture out into the Atlantic, passing between Bald Head Island and Oak Island. What a thrill to see the open water with the rollers breaking on the beach at Bald Head Island, Frying Pan Shoal, and Jay Bird Shoal! Come sail with us as we introduce you to the way of life of the sea. Our sailing charters are perfect for you next big event! Whether you are celebrating a wedding, anniversary, birthday, graduation, or any other bid day, we would love to celebrate with you! 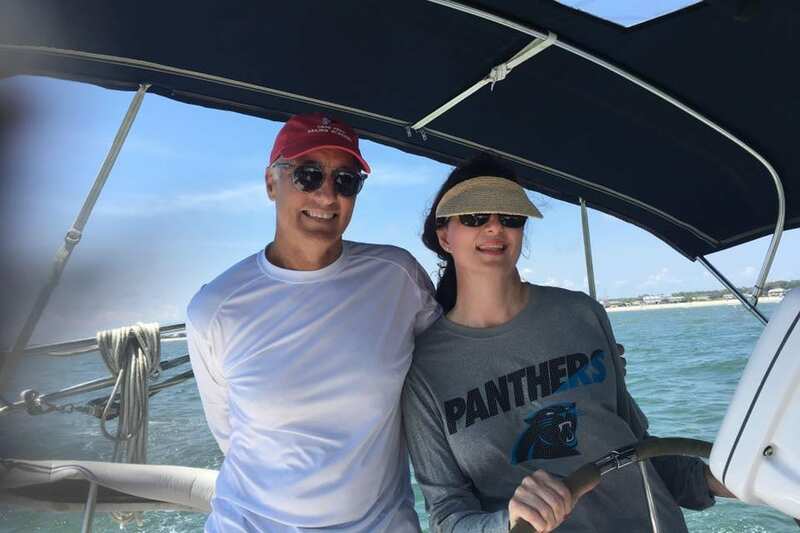 Now offering cruises to Bald Head Island! Come experience the uniqueness and beauty that only Bald Head Island can offer! 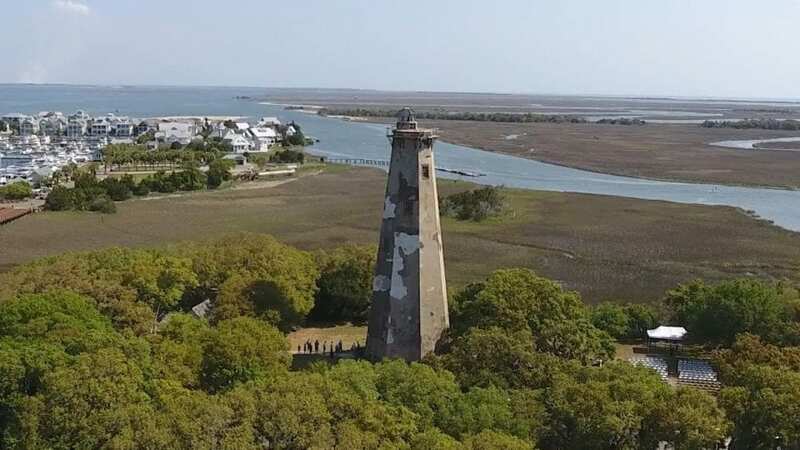 Bald Head Island is a two-mile journey across the Cape Fear River from Southport, North Carolina and the site of Old Baldy, the state’s oldest standing lighthouse, circa 1817. You can reach this subtropical island only by passenger ferry or private vessel. Amid the island’s 12,000 acres, you’ll find 10,000 untouched acres of beach, and marsh and maritime forest preserves. To pick up at Bald Head Island there is a $65.00 dollar fee added to charter rate. All Charters depart form Southport Marina. We can take 2-6 passengers feel free to bring whatever you would like to drink and eat Other arrangements priced on request full day sails, special pick up or drop off locations, or cruises. Or Stay Aboard for the night. Let us take care of anything you need!